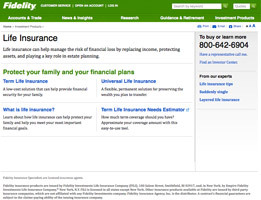 Established way back in 1896, Fidelity sure knows more than a thing or two about life insurance. 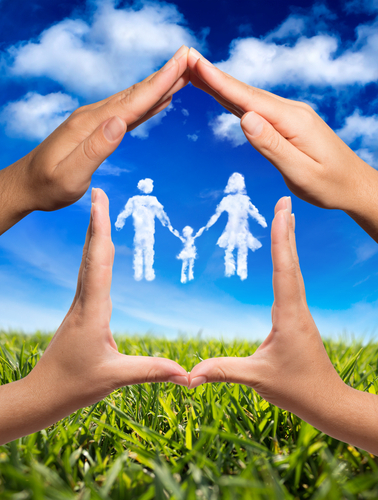 Indeed, they have no problem sharing that century-plus amount of insurance acumen with the masses, as their site is a venerable gold mine in providing people with an idea of what they should seek out in a life insurance policy. 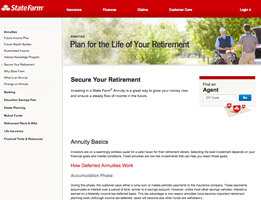 They also boast a ton of investment and retirement strategies designed to secure your financial future. You would be hard pressed to find someone over the age of 10 in the country that isn’t aware of State Farm’s presence, or at least has heard their name. State Farm has a huge network of offices spread out all across the nation, and they’ve been in the insurance game since 1922. They have remained relevant by producing a host of life insurance policies, agreeable premiums, and an air of approachability. 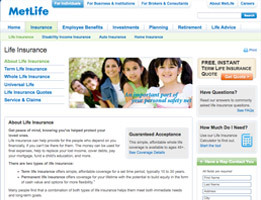 MetLife has been a major contender in the marketplace with their well-known advertising. Behind the animated mascots is a company that has delivered a no-nonsense, straightforward approach to insurance since it opened its doors in 1915. 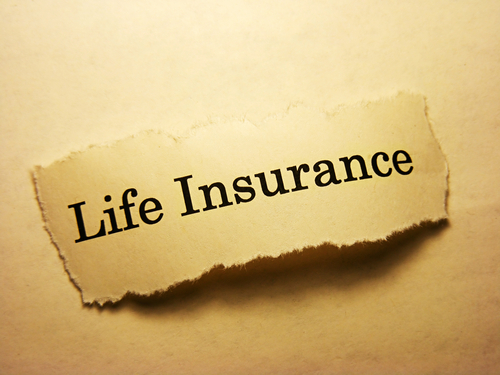 This mindset serves them rather well in the realm of life insurance, where their competitive rates, diversified plans, and adherence to customer support all combine to give potential policyholders a reliable and trusted product. 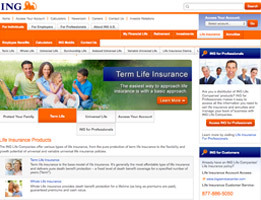 ING may not be as synonymous with the United States life insurance market as some of the other competition, since it really didn’t hit the scene here until the 1990s. However, the Amsterdam-based company has been around for quite some time, as its roots can be traced back to 1845. 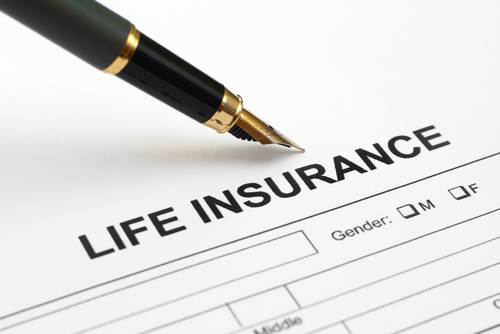 This high level of expertise is evident in the diverse life insurance policies that they offer as well as the abundance of online tools available. There’s a good reason why Prudential’s logo is a rock. It’s been doling out solid, sound financial advice to its customers since 1875. Its approach to handling life insurance reflects this rather well. 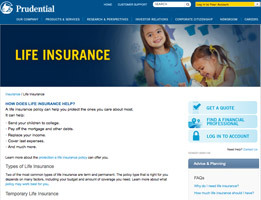 Armed with a diverse selection of policy options and plenty of online tools to help future customers shape a plan to meet their needs, Prudential does a whole lot to allow its clients to purchase a policy with confidence.